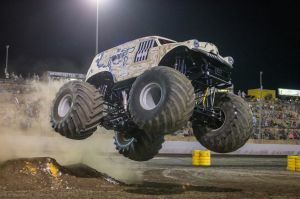 Saturday 9th of March 2019 see’s the return of Monster Trucks unleashed, wrapping up there Australia tour in WA before heading to China, Perth Motorplex will be the last stop on the non-stop tour over 3 states and 8 shows. See the return of an epic night of 8 skilled drivers ready to showcase these impressive machines jumping skills, along with crushing and smashing everything in their path. 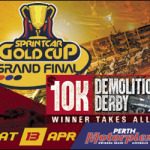 This year we will have Don Frankish descend down under to Perth Motorplex for the first time. Will he crush the Aussies on home turf? 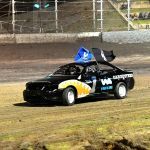 “my brother bought the Original Taurus Monster Truck and ran it for a year, before I decided I needed to get into the sport” he said. “I bought a truck and called it Maniac, Same as my puller. 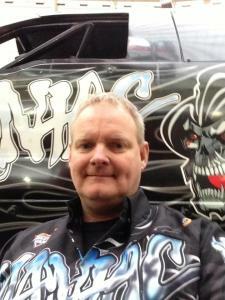 My brother sold his after a few years and went on to drive for Bigfoot and many others. I continued on my own for many years traveling North America”. Don soon added the second truck and called it Young Gun, around this time a few trucks had started the 3D concept body’s so Don and the team instantly decided to make one, fast forward and the crowd pleaser that is known and love, Jurassic Attack was created. Monster Trucks for the Frankish clan started as fun and has now developed in to a full-time career that has spanned 15 years. Don’s thriving Monster Truck career has seen him gain sponsors like Pennzoil and Sunflower, whilst being the number 1 Monster Trucks teams in Canada. 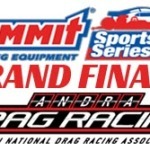 Don and the team will run as many as 42 events per year in North America alone, in 2008 while touring Europe they won “Save of the Year” along with a fellow team mate taking out Rookie Of The Year. 2011 sore the decrease to one Monster Truck, Don and his wife of 30 years still run the much-loved Jurassic Attack ride truck. 2019 will see Don ticking a much sort after item on the bucket list an that’s to travel down under. “we are proud to have been invited, i am excited to take on the Aussies in Convict” he said.